Juli Loesch Wiley, a contributing editor to Voices, is a Catholic writer and pro-life activist, who in the 1980s was the founder/director of Prolifers for Survival, which opposed abortion and nuclear arms. She is the wife of Donald Wiley and the mother of two grown sons. The Wileys live in Johnson City, Tennessee. Juli was born in Erie, Pennsylvania. From 1969-72 she worked as a boycott organizer for the United Farm Workers; then lived and worked as a Lay Associate with the Pax Center/Benedictine Sisters of Erie (1972-83). 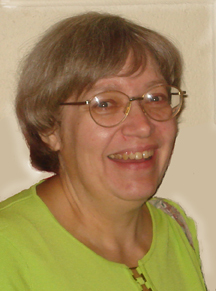 She has written for a variety of publications, including US Catholic, New Oxford Review, Touchstone, Crisis, Caelum et Terra, Soujourners, and 30 Giorni, and was a regular columnist for the National Catholic Register in the 1980s, for which she an award from the Catholic Press Association in 1986. In 1988 she served as Media Coordinator for Operation Rescue. She has contributed chapters to several books, including The Politics of Prayer: Feminist Language and the Worship of God (ed. Helen Hull Hitchcock); Prodigal Daughters (ed. Donna Steichen); Prolife Feminism: Different Voices (ed. Gail Grenier Sweet); and Prolife Feminism: Yesterday and Today (ed. Mary Krane Derr, Rachel McNair). She is also the author of Emma’s Journal, recently published by EnRoute Books (Morganton, NC); a semi-fictionalized account of an activist’s journey from living as a lay woman in a community of radical sisters to founding a movement combining peace and pro-life conviction -- who, following tribulation, pain and grace, eventually finds her heart’s home. Juli describes herself as “a worshipper of one God, the wife of one husband, a transplanted Yankee, a recovering feminist, a shape-note singing enthusiast, and the homeschooling Mater et Magistra” of her two sons.